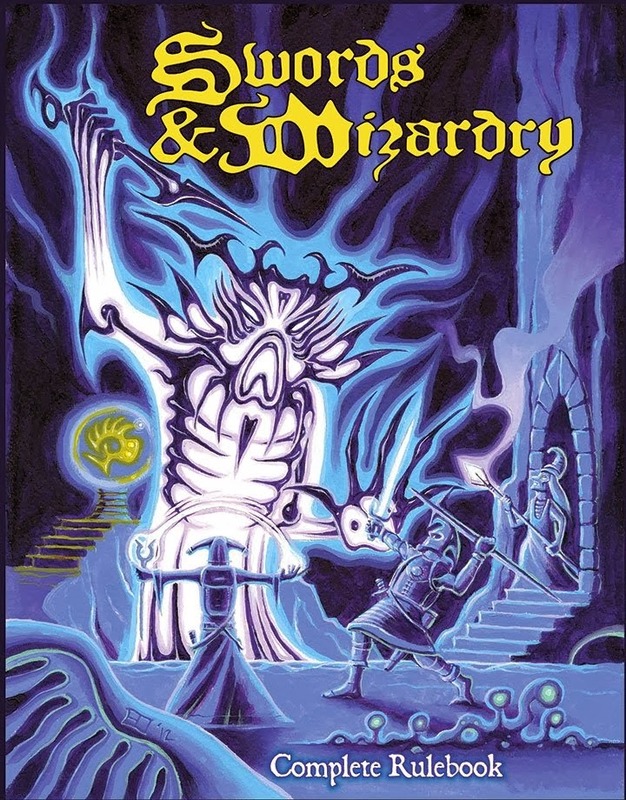 Frog God Games has announced that it is giving away Swords & Wizardry Complete. Not a no-art version or even limited version, but the entire game free of charge. You can go to their website and grab a free PDF (print still costs you). or you can also get it here (from my downloads). You can also get copies of their other rule sets based on it for free as well. While not my go-to game, it is a lot of fun and great set of rules for old-school gaming. Though I do have to admit that Erol Otis cover is rather cool. 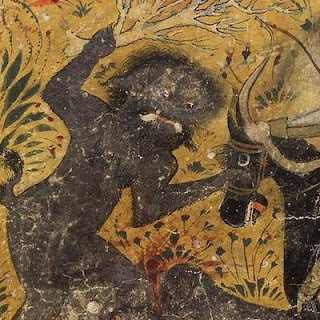 If you have The Witch or Eldritch Witchery then you can download my S&W conversion guide to play a Swords & Wizardry Witch. 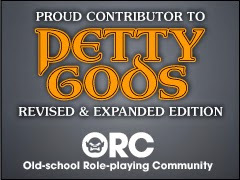 Thus ends the sad saga of Frog Gods-Swords/Wizardry - heralded by the "amateurs/cheap books on Lulu" comment and completed by the fitting release of the whole shebang... for free. Kinda like those amateurish free books on Lulu and DriveThruRPG. I always felt that the Frog Gods acquisition really shot S&W in the foot at a critical time when it could have stayed at the forefront of the clones. I think the goodwill of the Ennie of 2009 was wasted. But hindsight is always 20/20. I had forgotten that comment to be honest with you. Yep. 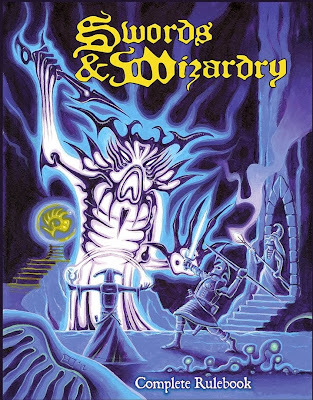 That whole incident and the subsequent way that Bill/Matt handled it was one of the levers that really pushed me away from the "OSR" (at least the publishing side) - I got a good taste of what the publishing world was like and I didn't want it to ruin my joy for the game itself. That's why I remember it. It's like the old adage about sausages. They are less appealing when you know how they are made. For me putting out my books is just another manifestation of my enjoyment of the game. S&W is my choice for straight OSR type gaming... I'm not sure what the disparaging quote was all about but I hope putting the game out for free is not really a nail in its coffin as seems to be the suggestion here. Less about a nail in the coffin regarding S&W as a game and more about a nail in the coffin of Frog God/S&W in particular. At that time, Summer 2010, DIY was King and the energy was pretty intense around S&W. 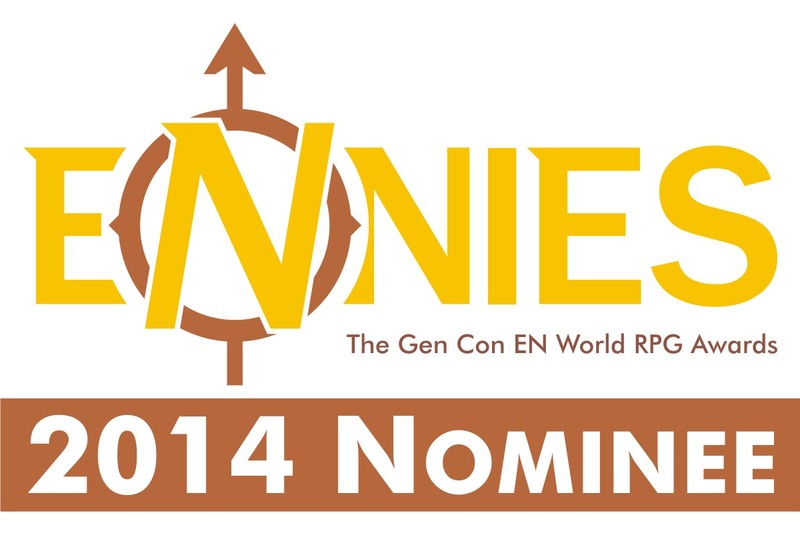 The year before, S&W had won silver for the Free Game Ennie. A lot of energy was going towards the game. A few of us, myself included, were really pushing hard to get modules out and see how we could start making S&W the go-to game that could be found in stores. At least for me, and a number of other folks, Bill's kick in the balls was the tipping point and our enthusiasm quickly waned. There was subsequent drama around White Box and that seems to have completed the coup-de-grace. FG released some S&W stuff, but if you look at the forums, 2011 was the big die-off in the forums and blogs. LotFP showed up, along with DCC RPG and the rest, they say, is history. I see the free release as Bill's way of acknowledging the S&W ride is over, for his business as a gaming platform. And that makes sense, from a business standpoint. S&W is a platform and a pretty simple one. That's why you didn't see much beyound BXE after it was released, aside from the Cyclopedia. There's not much more to say. Unfortunately, I think the FG bungle, the resultant response from the DIY/supporters that said "GFY" and LotFP/DCC pretty much ended it. That's my opinion on the deal. That should read: "I see the free release as Bill's way of acknowledging the S&W ride is over as a gaming platform, as far as his business plans are concerned." I think he might do modules and include S&W compatibility, but I think it's pretty clear this deal is over. Damn, Tim... you managed to get me to write a shitload more about RPGs than I have in a long time. Well played. LOL. How are you? How's Games Plus? I have not been there in probably 2 years. Hehehe all part of my evil plan! Things are good and I am glad to see you are still keeping an eye on things. Games Plus is good, haven't been there to game in a while since I do that mostly from home, but the auctions are still fun. Yea, I scroll through a couple of blogs to see the updated list - Troll&Flame is one of them that has a fairly exhaustive list of the blogs that I will read now and again. I saw your post and was curious. @ThePrincessWife and I are damn busy! Our personal project will reach it's finale in March to which we'll find if we're going to be busy until March 2015 or if our activities end Sept 2014. Until then, my gaming is still on haitus. We both miss our solo game and there are times I miss the Dark Ages campaign a lot, but mainly because I had so much fun just hanging out with friends and sharing some fun tossing the bones. I think you're about the only Chicago-based blogger left. Good to hear you are both doing good. Yeah I keep chugging away here, doing my thing. Just a note but Frog God continues to release S&W products and I am confident that they believe that S&W is an important part of their long term growth. They continue to actively release S&W products, and S&W versions of PF products and a ton of the conversation that used to take place on the various blogs and messageboards has moved to G+ now.